Robert K. Futterman is the founder and Chairman & Chief Executive Officer of RKF. Headquartered in New York, with additional offices in Chicago, Las Vegas, Los Angeles, Miami, Northern New Jersey, San Francisco and Toronto, RKF has been responsible for $20 billion in aggregate real estate transactions since its inception in 1998. Robert has more than 25 years of retail real estate experience and has personally been involved in transactions totaling in excess of $10 billion. He has successfully created one of the leading retail real estate firms in the US and the dominant player in the New York metro area. With unparalleled expertise in landlord and tenant representation, new construction, leasing, sales and market analysis, he is unrivaled in the industry. 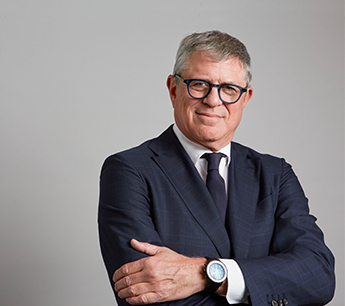 Throughout his distinguished career, Robert has been a leader in revitalizing several of New York’s most significant retail markets, including the renaissance of New York’s Union Square South, Times Square, 34th Street/Herald Square, SoHo, Columbus Circle and the Meatpacking District. He has also served as an advisor to the Port Authority of NY & NJ for the World Trade Center redevelopment. Robert has also made an impact on retail markets outside of New York City. He has played an integral role in reshaping the retail landscape of Las Vegas’ Strip and also been involved in retail real estate in South Florida, specifically in and around Miami. Robert has worked on behalf of many of the nation’s premier retailers, including: Apple, Adidas, Barnes & Noble, Topshop, Gap, Guess, Fairway Market, FedEx Office, Forever 21, Tourneau, Anthropologie, Urban Outfitters, J.Crew, Polo Ralph Lauren, Bed Bath & Beyond, and 24 Hour Fitness. He has also completed transactions with an array of domestic and international retail brands deals such as Bottega Veneta, Brooks Brothers, Emilio Pucci, Nordstrom, Prada, Rebecca Taylor, Sandro, Vince and Whole Foods Market. Robert has also represented an impressive list of developers, landlords and institutions on their retail real estate, including Related Companies, Vornado Realty Trust, SJP Properties, The Howard Hughes Corporation, Milstein Properties, Hines, The Durst Organization Inc., Silverstein Properties, RFR Realty, Forest City Ratner Companies, Taconic Investment Partners, The Carlyle Group, Fisher Brothers, Glenwood Management, Apollo Real Estate Advisors, Extell Development Company, Morgan Stanley, Edward J. Minskoff Equities, Blackstone Real Estate Advisors, Jamestown Properties, SL Green Realty Corp., CIM Group and MetLife. Iconic retail and mixed-use projects in which Robert has been involved include The Shops at Columbus Circle at Time Warner Center, Grand Central Terminal, 270 Greenwich Street, 401 West 14th Street, The Times Square Building and the South Street Seaport in New York City, and Miracle Mile Shops in Las Vegas. Prior to founding RKF, Robert spent 15 years with Garrick-Aug Associates, where he was the top producer. While no longer in existence, Garrick-Aug Associates was formerly the leading retail leasing firm in New York. Robert is a member of the Real Estate Board of New York (REBNY) and the International Council of Shopping Centers (ICSC) and is a licensed Salesperson in the states of Connecticut and New York. He is a four-time winner of the REBNY Retail Deal of the Year (2001, 2005, 2009 and 2010) for creativity and contributions to Manhattan’s retail landscape. Robert is a frequent speaker and lecturer on retail real estate and has participated in programs on behalf of BloombergLINK, Urban Land Institute, ICSC, REBNY, NAIOP Commercial Real Estate Development Association, Columbia Graduate School of Business and BISNOW.